Help build Phase 3.1 of the Forest Lake Area Trail System by running the FLATS Uncle Sam 5k (map) or walking the 1.2 mile course (map)! Registration is live at Active.com and paper entry forms are available at ATSU’s Thompson Campus Center (210 S. Osteopathy, Kirksville, MO 63501). Phase 3.1 will start at the corner of Osteopathy and Missouri, running west seven-tenths of a mile through the woods on the south side of Missouri Street. 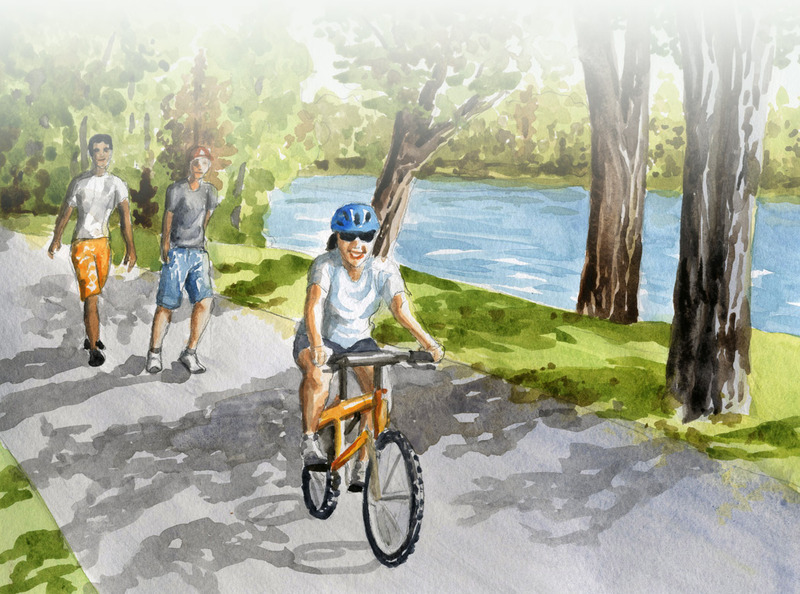 All funds raised will be used to meet the match we need to receive a $147,000 federal grant we received throught the Recreational Trails Program. For more info on the All-American Red, White and Blue Festival 2017 visit http://www.visitkirksville.com/redwhiteandblue/. Race and walk start at 9:00 am on Tuesday, July 4 at the DuKum Inn. Packet pick-up Monday, July 3 at the Thompson Campus Center (210 S. Osteopathy) and race morning at the DuKum Inn starting at 7:30 a.m. It could be hot so please plan accordingly! Trophies to first male and female 5k runners. Top three female and male finishers in each age group will receive medals. All participants receive an Uncle Sam t-shirt. Age Groups (5K only): 18 & under, 19-29, 30-39, 40-49, 50-59, 60+. Cold post-race beverages at the DuKum Inn courtesy of Golden Eagle Distribution. Thanks to our incredible sponsors Northeast Regional Medical Center, Kirksville Motors, KTVO, DuKum Inn, AT Still University, Golden Eagle Distributing Company, Rotary, Hy-Vee, VisitKirksville.com, and the City of Kirksville.